We all LOVE finding free and/or cheap activities we can do with the family – so we thought we’d start a list of them here for everyone to enjoy! Please add your ideas to the comments and share with your friends so they can chime in, too. We’ve kept this list to outings that don’t include any admission fee or upfront cost and are within Moncton, Riverview, and Dieppe; there are LOTS more fun things to do that are also low-cost and in surrounding communities, many of which you can find on our MEGA LIST of things to do with the kids in Moncton. But for now, we’re sticking with free things in Moncton – read on! 1. My kids LOVE parking behind Moncton City Hall, grabbing a treat at Tim Horton’s, and taking the pedway across to the Moncton Public Library. There’s a great play area for little ones and lots of activities for all ages; check the library’s website for details on what’s happening. Make sure to take time to visit the artwork inside and outside both City Hall and the library; we especially love when the high school art work is on display – great inspiration for young artists! 2. We also love visiting the library in Dieppe and exploring the great art installations at Place 1604. 3. Grab a camera and take a photo tour of the dozens of amazing murals in our community thanks to Festival Inspire. You can find a map on their website so you can plan your adventure – and with so many murals in so many areas, you could make this a weekly adventure. 4. You might also enjoying our Photo Scavenger Hunt of Riverview! 5. Play tourist! Grab a map from the information centre and let the littles guide the way. We love exploring the waterfront through the kids’ eyes! 7. Kids LOVE transportation – so take a ride on the bus, be there when the train arrives, or drive out and watch the planes land at the airport! Our kids also loved checking out the airplane and train outside Centennial Park. 8. It can be tricky to visit a store without buying things, but if you CAN, then a visit to a pet store or Bass Pro Shops (which often has free kid-friendly crafts and events) to say hello to the animals is a great way to spend some time – especially on a hot day when you need some air conditioning! You can also visit the Greater Moncton SPCA (and did you know they host kids’ birthday parties, too?). 9. Summers are filled with free, outdoor concerts, which are fabulous for family outings. 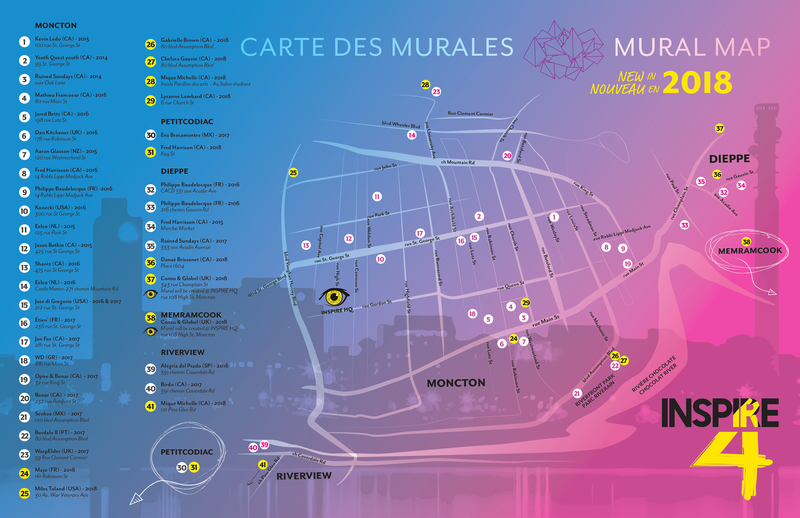 The City of Moncton hosts free performances on Tuesdays at 7pm in Victoria Park and on Saturdays at 11am at the Market; you can find the list of performers here. Midi Musique takes place Wednesdays from noon until 1pm at Oak Lane, off Main Street in Moncton. You can find the list of performers within the concert listings for The Capitol Theatre. Wednesdays in Riverview the fun is at Caseley Park. Visit the weekly Chocolate River Farmers’ Market and live music from 7pm to 8:30pm. (Rain moves the fun inside to the town’s community hall.) Also on Wednesdays, Dieppe hosts free concerts at 6:30pm at Place 1604. The lineup of performers can be found here. Need some more ideas? Check out our Summer Bucket List Bingo Cards for more ideas, like backyard bonfires and local geocaching, or our Fall Bucket List, with ideas for family chilli cook-offs and epic Halloween costumes. There are lots of other affordable fun things do to in Moncton, too, like bowling, skating, swimming, movies, and more – and you can find links to all of that and more on our Mega List of What to Do with the Kids in Moncton! Share your favourite cost-free family adventure below! We’d love to add more ideas to the list! Pickle Planet Podcast: What do you NEED at a park?